Ian Cairns "2010 Surf Champion"
PHOTO: Duke Kahanamoku Hawaiian Surf Classic. 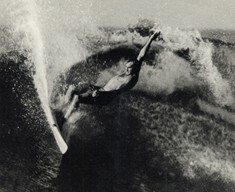 Commanding champion power surfer of the Seventies, Ian dominated Hawaii’s North Shore at that time and later he became a prominent surf contest organizer/promoter and coach, originally from Perth, Western Australia. Ian was the founder of the Association of Surfing Professionals in 1983 and world-ranked #2 in 1976 the first year of surfing’s pro tour. Cairns has won six Western Australia state titles (1967 – 1972), won the 1973 Smirnoff Pro at Lanieakea and in 1975 won the Duke Kahanamoku Hawaiian Surfing Classic held in 25-foot surf at Waimea Bay and also the World Cups at Haleiwa in 1976 and 1980. 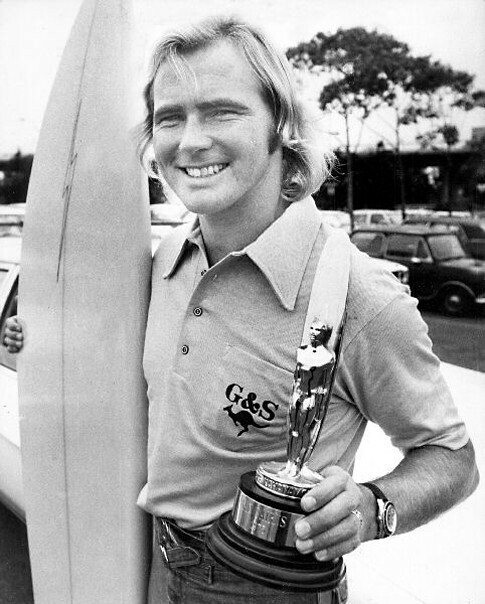 In 1975 Cairns co-founded the Australian Professional Surfing Association (APSA) which consolidated the nascent Australian pro events into a domestic circuit and the following year 1976, he won that APSA Australia tour and finished runner-up to fellow Aussie Peter “PT” Townend in the inaugural International Professional Surfers (IPS) World Championship. In that same year 1976, Cairns and Townend were two founders of the Bronzed Aussies, a professional surfing team that also included Mark Warren, Cheyne Horan, Jim Banks and Steve Jones which won the Katin Pro-Am Team Challenge in Huntington Beach twice in 1978 and 1979. Ian has reputation as an articulate and passionate supporter of all aspects of competitive surfing having been Executive Director of NSSA in the Eighties and re-launched big-time competitive surfing in the US with the running of the first OP Pro in Huntington Beach in 1982. He is currently coaching the Pac-Sun USA Surf Team whilst raising twin boys with his second wife Alisa in Laguna Beach, California. 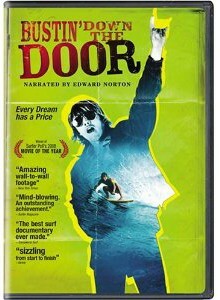 PHOTO: Bustin' Down the Door DVD Cover. Ian Cairns along with Rabbit, PT, Mark Richards, Shaun Tomson and Michael Tomson helped redefine competive surfing. PHOTO: Bronze Aussies surfboard logo.